IQS Directory implements a thorough list of track crane manufacturers and suppliers. Utilize our listing to examine and sort top track crane manufacturers with previews of ads and detailed descriptions of each product. 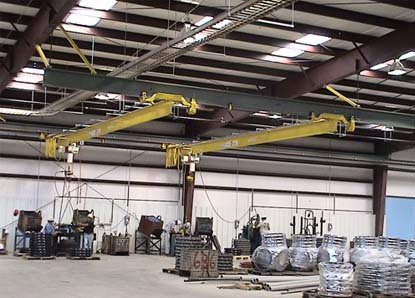 Any track crane company can design, engineer, and manufacture track cranes to meet your companies specific qualifications. An easy connection to reach track crane companies through our fast request for quote form is provided on our website. The company information includes website links, company profile, locations, phone, product videos and product information. Customer reviews are available and product specific news articles. This source is right for you whether it's for a manufacturer of truck jib cranes, track lifting cranes, and track crane loads. We have the best track cranes! 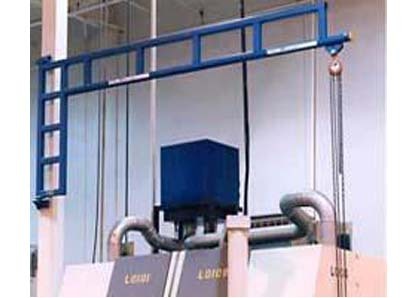 We offer overhead lifting solutions for every application. Our excellently trained staff will be able to provide you with the superior customer service that we have become known for. It is our mission to provide simple, cost-effective solutions for the crane needs of customers everywhere. Our headquarters is in New York but our reach is global. To find out what we can do for you, get in touch with our representatives today by phone or email! Our track cranes provide excellent value. We are one of the leading manufacturers of overhead material handling equipment and we want to bring our high quality products to you! We have been providing excellent customer service for over half a century and it is a tradition we aim to continue. We have the service you can count on and the products you need. Visit our website for more information or email us today! Here at Konecranes, we offer full service crane maintenance, inspection and repair services. We offer efficient and dedicated customer service and an extensive range of spare parts, ensuring your cranes and hoists run smoothly. The level of customer support provided will leave you with the knowledge and security that after installation has been completed, your equipment can be maintained and supported throughout its long term operation. Call us today for more information! Turn to Engineered Material Handling for track cranes that designed for your exact application. These cost effective solutions are equipped with a number of advantages and we work closely with our customers to ensure maximum levels of customer satisfaction. If you need a solution optimized for your needs then give us a call today! A track crane is a kind of machine used to lift and transport heavy equipment and materials by way of a rolling mechanism along a set travel path, or track. Track cranes are useful for handling loads quickly, safely and efficiently. Depending on the kind, track cranes can be arranged to fit its surroundings, as to increase efficiency and productivity. The bottom flange (the hardware used to create secure connections when conjoining sections of pipes, tubes and other materials in transmission equipment) of many kinds of track cranes are unlike normal flanges, in that it has a raised tread suitable for rolling purposes. This design is intended for high-repetition operations, such as in most factories. A track crane is preferred for its precision, as well as its durability, and can handle both light and heavy loads for many years. The surface on the raised treads of the flange allows the crane to roll with ease. Because of this type of track crane’s free-running trolley, heavy, awkward items can be moved quickly and easily. Additionally, depending on the number of runways a particular track crane has, transport can happen throughout a very large space, as well as lift and position loads in otherwise extremely inaccessible areas, such as between pillars and columns. A variety of components in certain track cranes allow control of route, so as to better fit with the structural elements of a workspace. These kinds of track cranes can be mounted on walls or pieces of machinery, and can typically be dismantled and re-erected. Many track cranes are suspended overhead, which is appropriate for efficient handling and positioning of goods. Suspended track cranes decrease horizontal pressures and offer protection from bending strains. In addition, the height of a suspended track crane can be easily adjusted via threaded suspension rods and ball joint heads. Such track cranes are similar to bridge cranes and both are used in many workplaces, like factories, warehouses and store yards, where heavy equipment and supplies are regularly moved from one place to another. Because track cranes generally do not rely on independent energy sources, like batteries or natural gas reservoirs, they, like bridge cranes, are a faster, cheaper and more efficient alternative to other transport tools, like fork-lifts and hi-lows.